I would really appreciate some help with this as I'm quite new to airsoft. On a side note I've heard that 9.6v batteries are a recommended upgrade, but what difference would a higher mAh make and are lithium batteries really worth it? Can't help on the gun as I've not used either, sorry! Batteries though I can help with... I wouldn't regard a 9.6vbattery as being a recommended upgrade, most guns will run just fine on an 8.4v one, though you'll generally get a better rate of fire and trigger response from a higher voltage. The mAh value relates to the capacity of the battery mostly, the higher the number the more charge it will hold, I find a 1600mAh battery will comfortably last me for a whole day of skirmishing, though if you can fit a bigger one into your gun there is no reason not to. LiPo batteries are a bit of a divisive subject, lots of people swear by them and an equal amount regard them as little packets of chemical fire just waiting to burn their house down. Personally if I were buying my first gun I'd go with a 7.4v LiPo right from the off, ask the retailer to fit the gun and battery with deans connectors (much better than the standard tamiya connector) and buy a good balance charger. If you start with LiPo equipment I can see no reason why you would ever change to NiMh or NiCd batteries, but if you start with a NiMh battery eventually you'll probably want to go for a LiPo. Of course, there are considerations to take with LiPo batteries, they ARE less stable than older types and so care should be taken when charging them and you should take care to not fully discharge them at any time as this can cause damage to the battery. I can say in confidence that the G&G H&K 416 will have spectacularly good performance out of the box, I don't have any personal experience with that gun specifically, but G&G have an exceedingly good reputation. The VFC will probably be close enough for there to not really be a noticeable difference and it has the additional bonus of having the real trades. Being someone who hates fake trades I'd probably get the VFC, even though the part of me that would like to have the best performance possible would probably rather side with the G&G. It's swings and roundabouts. As you said the G&G is cheaper - it's up to you. Both will be great. I was swinging towards the G&G as it would allow me to buy some more kit from the get go and I could deal with the trades. I think the only weapon that I would really need to be completely authentic would be any L85/86 variants as it's the only real steel weapon I've ever used. Maybe I'll get a GBB L85 one day. In terms of connectors would I be able to swap the connectors myself if I couldn't get the retailer to do it? or would it be to complicated/difficult to be worth it? btw I was looking at buying from www.proairsoftsupplies.co.uk and I'm not sure if they would swap it for me. Go for the G&G buddy, Ive used both and I can honestly say there isnt a £100 worth of difference between them. They are both amazing guns but the saving of £100 would point me to the G&G every time. Leaves you with more cash to buy extra mags, ammo and batteries or even add a few accessories to the 416. I always use them for my airsoft stuff and cant fault their products or delivery. Also noticed in your sig your after a WE P226, Ive just been testing my mates one out and they are a blinding little GBB, well worth the pennies. jcheeseright is spot on about the batteries might aswell save some cash and go for a dencent LiPo set up and just take care when charging them. I used a friends P226 at the weekend and was very impressed, I must admit to preferring it in two tone blue rather than black. 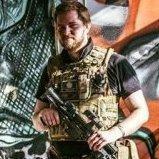 Pro airsoft supplies have always been very very helpful when I have spoken to them, I'm pretty sure if you gave them a call they'd solder on a deans connector on the gun and they've almost certainly got batteries already wired to deans in stock.